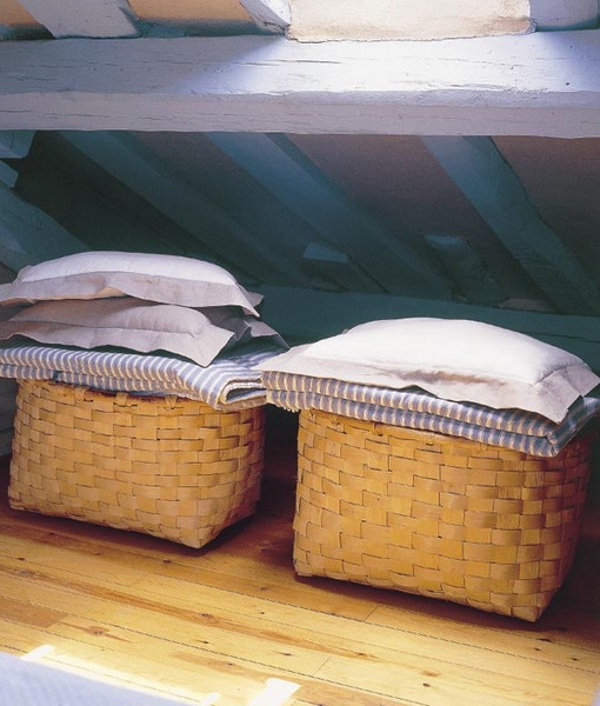 Wicker baskets are purely traditional items, which impart a refined outlook to your interiors. In a way, they help in conserving traditional occupation too. Use of bio-degradable objects is the prime-most motto of every one out there. These simple crafted items do a silent, but superior task, indeed. 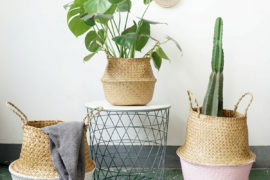 Wicker baskets come in various forms and shapes. They are functionally superior as well as stylish in appearance. 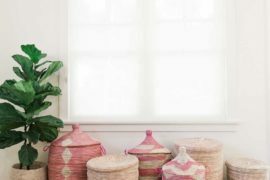 So, it is no surprise that those items have created a new wave throughout the world, and people began to see it as an essential thing for their homes. 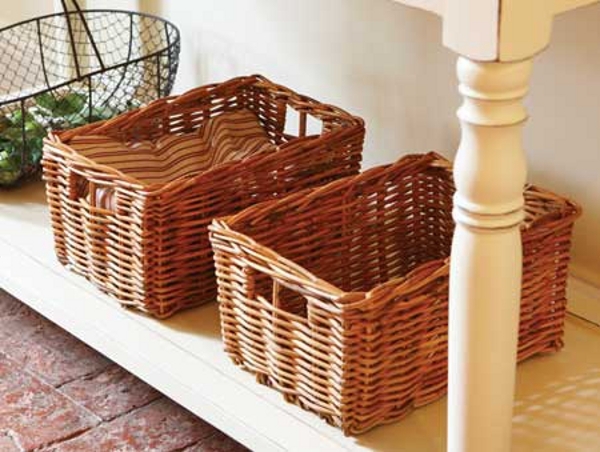 Have a glimpse at some of the wonderful wicker baskets, and see how they would help you in decorating your home. 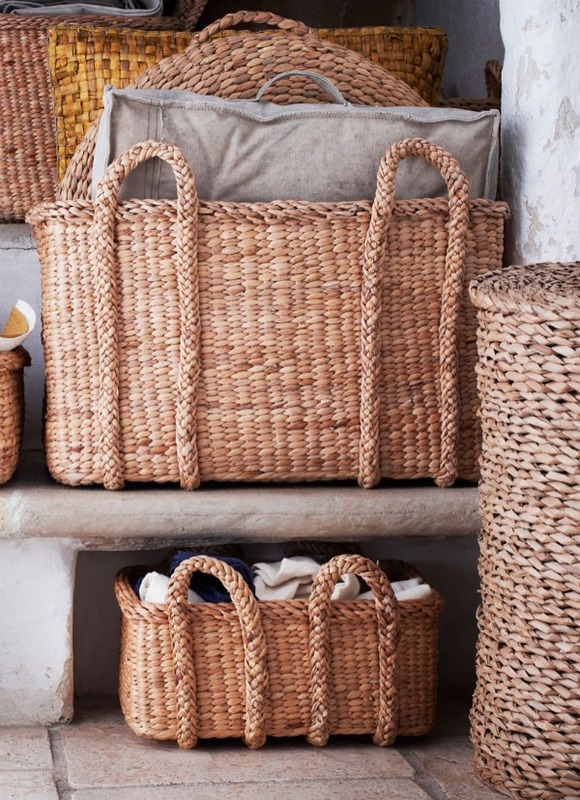 As we go looking for some of the best designed wicker baskets, a handful of them lure our eyes. Some of them sport a rectangular frame and they seem to come with the simplest of designs. The wired frame and open end handles have a peculiar kind of attraction blended in simplicity. 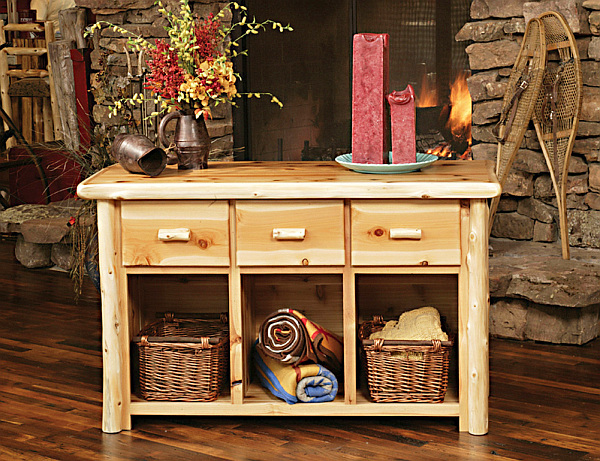 It is modestly compact and can do all general storage purpose. 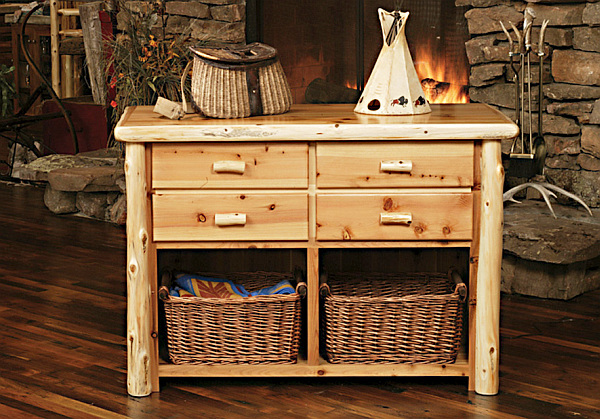 You can enclose mail, kids’ items, remote controls and the like inside this. 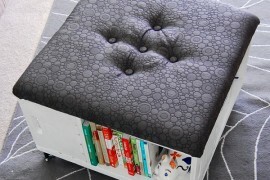 They would also help to maintain your room neat and tidy. Normally they have a dimension of 10 x 11 x 9 inches and weigh around 6.5 pounds. 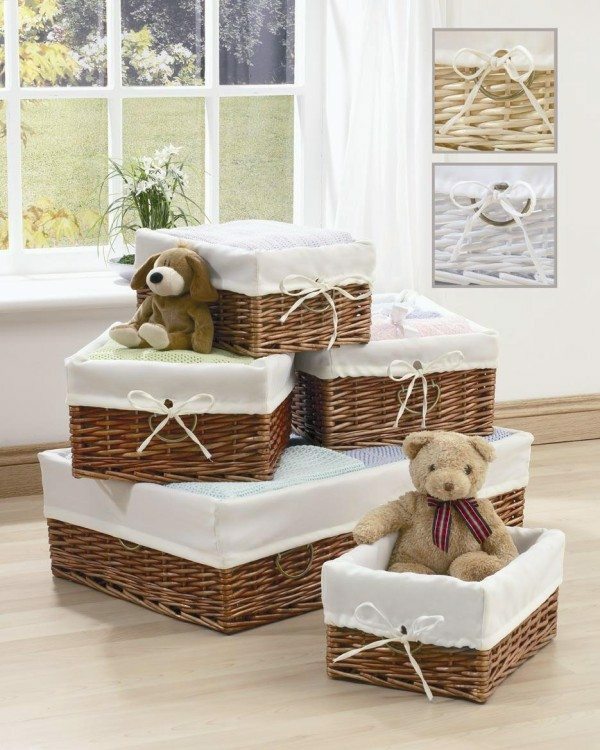 Another very common kind of wicker basket is a whitish medium sized one. This special piece will do great at home school and office. Since it is larger than the former it could be used to put your dresses, and helps you in organizing your closet. It is light-weighted and is convenient to transportation. Having a dimension of 14.1 x 11.1 x 8 inches, it weighs around 15 ounces. 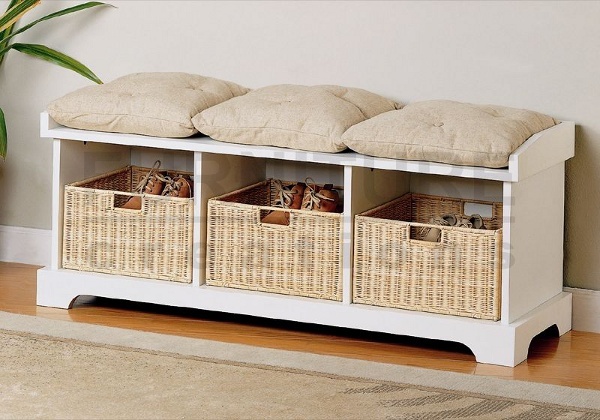 The Storage bench wicker basket is a brilliant concept, which saves space along with keeping your belongings properly. 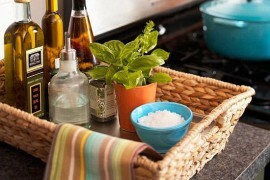 Wicker baskets can be put on the lower portion of workbench. So, no additional space is required to place the basket. 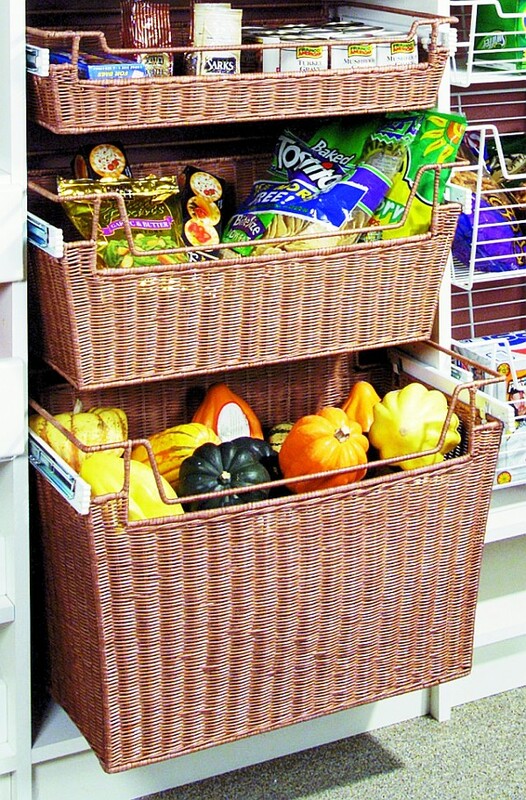 You can choose baskets of any size. 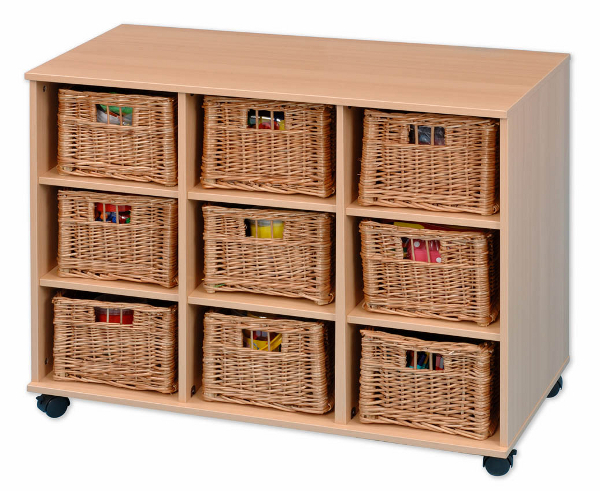 But we recommend larger baskets so that you can enclose large-sized articles, since it doesn’t demand a lot of moving. Handmade articles are most sought after items nowadays. Reason for this shift can be traced to our interest in protecting our environment. Their artistic appeal and potential to create more employment opportunities to rural people also have played some significant role in creating interest among customers. Hand-woven patterns will be a decoration to your interiors too. 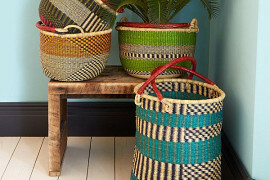 A wide range of handmade baskets are available in markets, in various shapes and sizes. Normally they are less weighted and cost would be little higher. 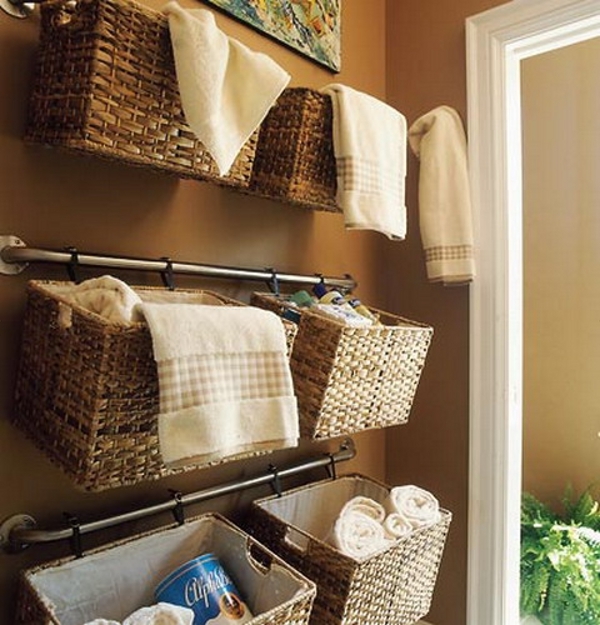 Pull-out wicker baskets are another charming object in storage category. 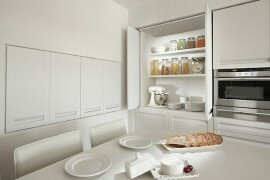 They are ideal for kitchens, in which you can store your vegetables and spices. Since it lets passage of lots of air, vegetables will remain fresh for a fairly longer period. Thus they help save your energy bills. They are durable and attractive, and help in saving lots of space in your kitchen. Actually, the story doesn’t end here. There are heaps of other designs too. Listing them all doesn’t fit the scheme of this space. 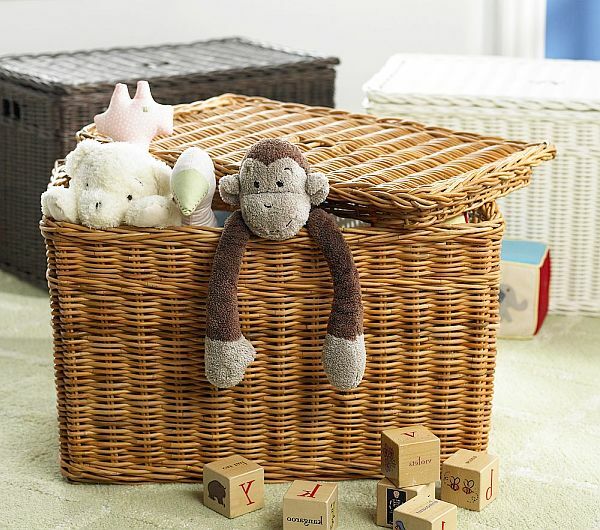 But we hope you have received an overall idea about wicker baskets and related objects. All items listed here are available in markets and readers can buy them according to their specifications. You can buy them online too. It is possible to devise newer designs using designer’s creativity. 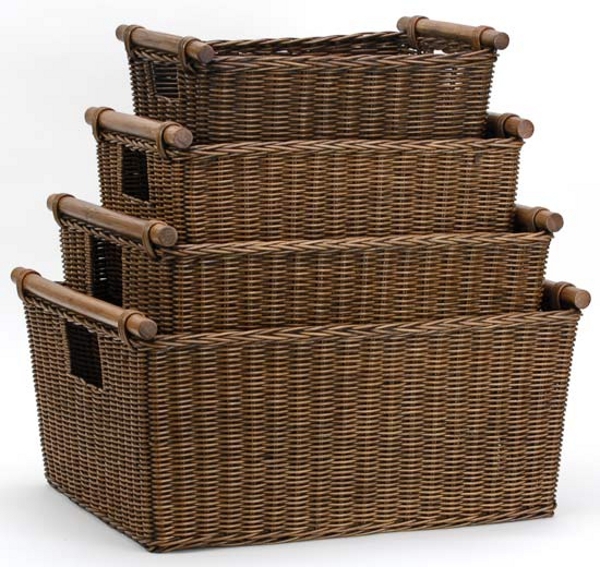 Keep in touch with the industry to know more about latest trends in wicker baskets.